At Pak Mail, we know that not everything fits perfectly into a standard box.? For all the things that don?t, we offer specialty packing and shipping options specifically tailored to meet the needs of each item.? Our certified packing and shipping experts evaluate the makeup, size, value, and fragility of your specialty items to determine the best solution. Pak Mail is your one-stop-shop for residential freight services.? Whether you?re shipping domestic or international, choose from a variety of shipping services, including last mile delivery, white glove, blanket wrap, inside delivery, and more. Never worry about damaging valuable electronics in transit again.? Pak Mail?s experts will help you pack and ship your technology using the ideal container, packing materials, and shipping method. Don?t break your back moving that massive armoire or the awkwardly shaped china cabinet! 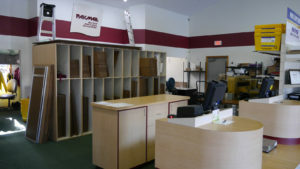 Pak Mail will pack, crate, and ship furniture of any size or shape wherever it needs to go. Avoid the logistical headaches of shipping a vehicle across state or international boundaries and let Pak Mail take care of it for you. We?ll take care of shipping cars, trucks, vans, boats, RVs, and more. Pak Mail shipping experts will determine the mode of shipping for your motorcycle ? open or closed trailer ? and will help pack it for shipment anywhere in the world. Leave the details to us and rest assured your motorcycle or ATV will make it safe and on-time.